On 8 November 2017, we were delighted to welcome Her Majesty The Queen to officially open the Sir Joseph Hotung Gallery of China and South Asia. The Queen with Sir Joseph Hotung. Photo: Benedict Johnson. 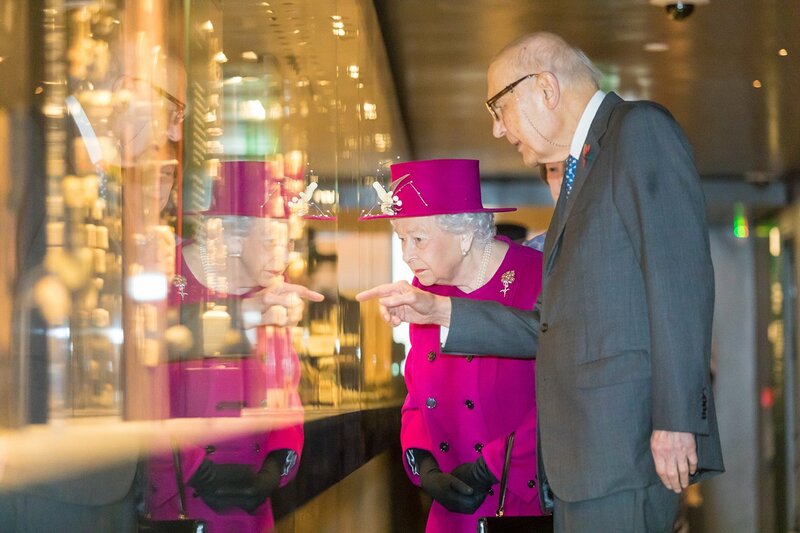 Yesterday the Museum was honoured to receive an official visit from Her Majesty The Queen to re-open the Sir Joseph Hotung Gallery of China and South Asia, after a major refurbishment. 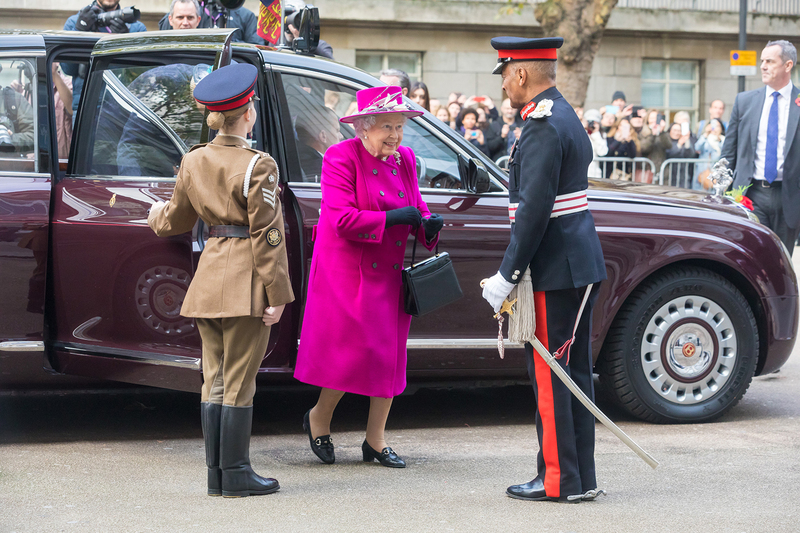 Her Majesty The Queen arriving at the Museum. Photo: Benedict Johnson. The Queen originally opened this gallery 25 years ago. 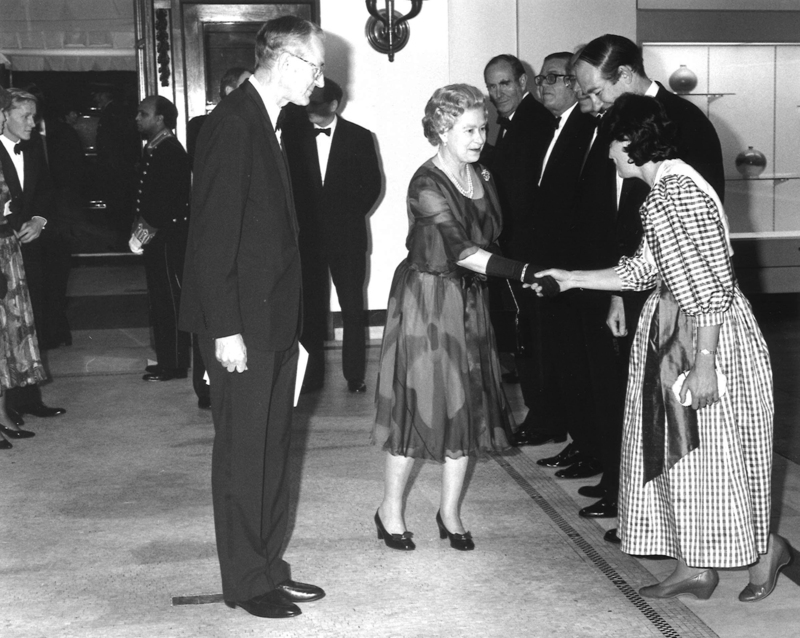 Her Majesty at the original opening of the gallery in 1992. 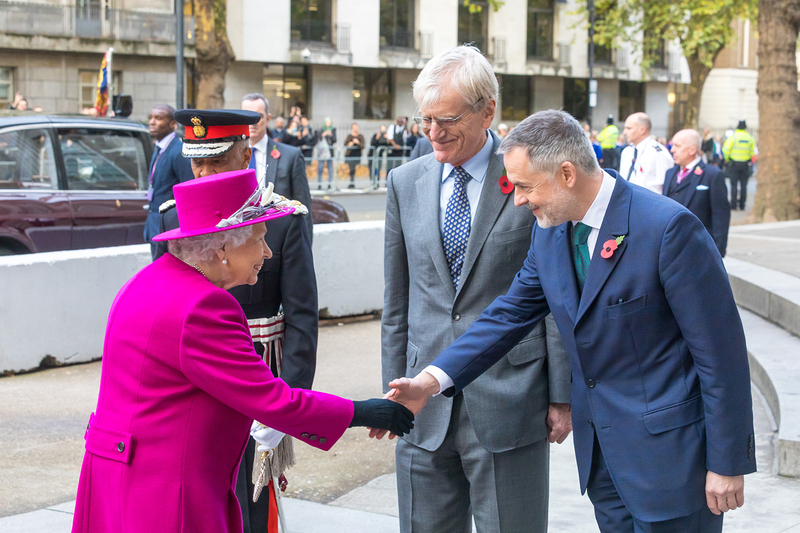 The Queen was greeted by the Director of the British Museum, Hartwig Fischer, and the Chairman of the Trustees, Sir Richard Lambert, before being given a tour of the gallery. 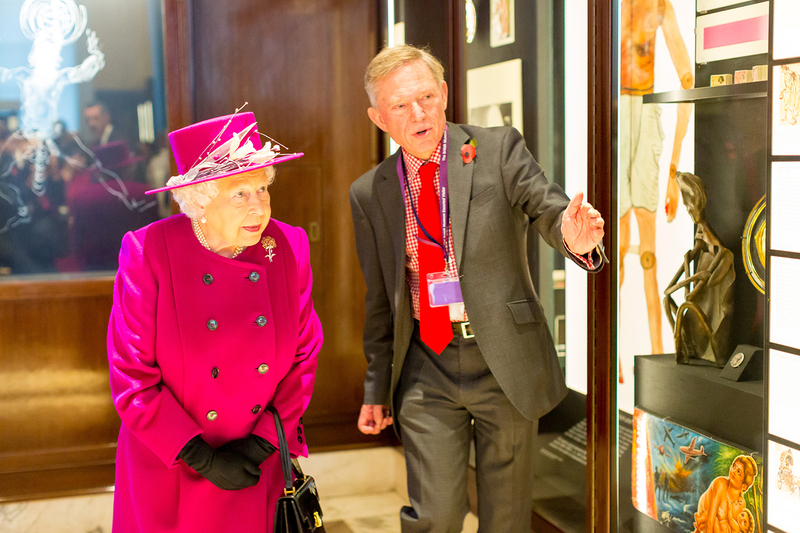 In each section Her Majesty was introduced to curators to share some of the highlights of the displays. The Queen greeted by Hartwig Fischer and Sir Richard Lambert. Photo: Benedict Johnson. One half of the gallery presents the histories of China from 5000 BC to the present. The displays include hundreds of fascinating objects, from iconic Ming dynasty blue-and-white porcelain and Tang dynasty tomb figurines to delicate handscrolls and contemporary ink paintings. 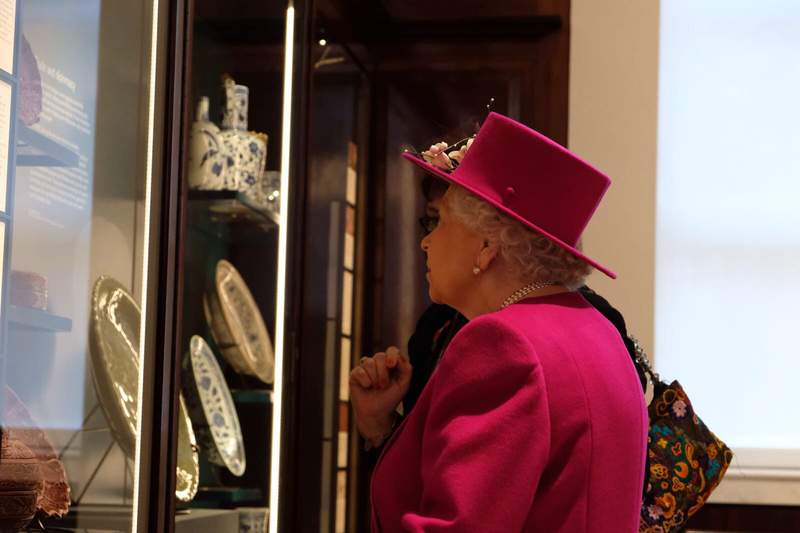 The Queen viewing Chinese porcelain. © Royal Communications. The other half of the gallery presents South Asia’s many histories chronologically and by region, from early human occupation to the present. The Queen with Curator of South Asia collections, Richard Blurton. Photo: Benedict Johnson. This refurbishment has been made possible by a generous donation from The Sir Joseph Hotung Charitable Settlement. The Asahi Shimbun Gallery of India: Amaravati and the Selwyn and Ellie Alleyne Gallery of Chinese jade have also been refurbished as part of this major project. Most of the Chinese jades are on loan from the collection of Sir Joseph Hotung (pictured below with The Queen) and demonstrate many different types of workmanship. In China, jade has been a material of the highest value since ancient times, prized for its beauty and magical properties. 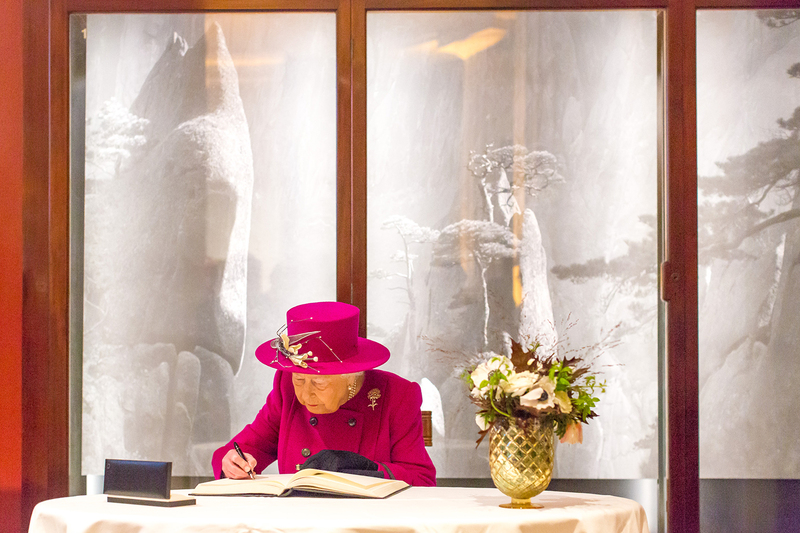 Her Majesty signed the Museum’s visitors’ book to record this special visit. Her Majesty signing the visitors’ book. Photo: Benedict Johnson. The renovation of this gallery means we can now include and rotate different types of objects such as paintings, prints and textiles which need regulated conditions to be safely displayed. The gallery also introduces new research and contemporary objects allowing visitors to engage more fully with these extraordinarily important parts of the world. Phased public opening of the refurbished Sir Joseph Hotung Gallery of China and South Asia begins tomorrow, Friday 10 November 2017. The full suite of galleries will be open from 14 December 2017.